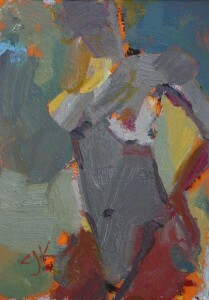 One Day Figure Workshop at St Augustine Art Association. It’s an open studio session, no tuition. 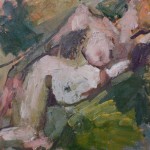 The model ( Rebecca ) will be in a sitting / lying position with backdrop and props offering textural and color interest. 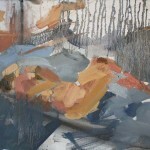 The session intends to offer artists the opportunity to work on large scale or detailed paintings or drawings. Pose offers interesting front or back study’s. – Maximum of 10 people in the workshop. Easels / Tables provided – please arrive at 10am to set up as session will start at 10.30am sharp. 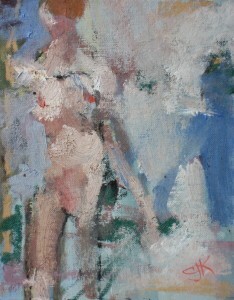 Claire J. Kendrick presents a contemporary body of work that brings a fresh, personal, unique, and modern approach to figure painting. There is a freedom and energy, not only in the way she applies paint, but in the way she sees the figure that pushes the boundaries toward the abstract. “The dialogue is something I strive for. What is spoken and what is left unspoken. 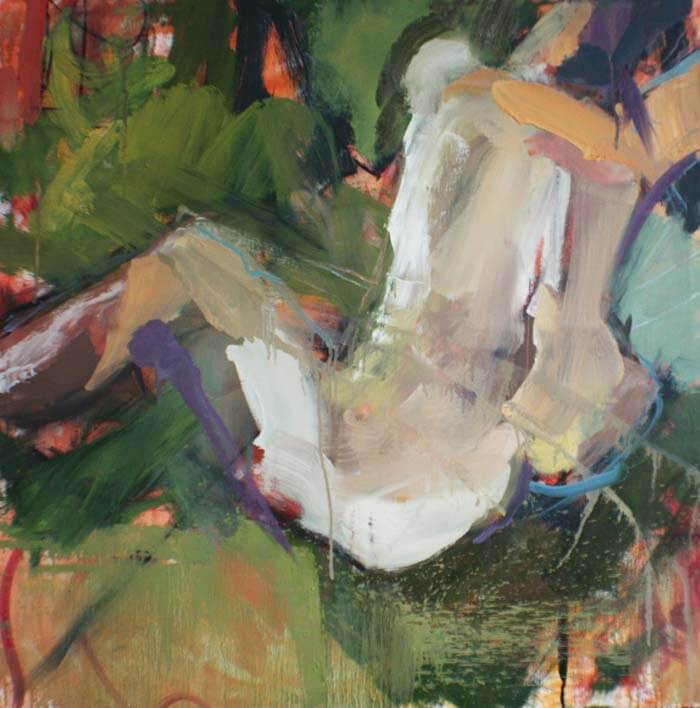 It is the tension and energy between the painting and the viewer’s interpretation of the work.”Claire paints landscape, still-life, and figurative paintings. 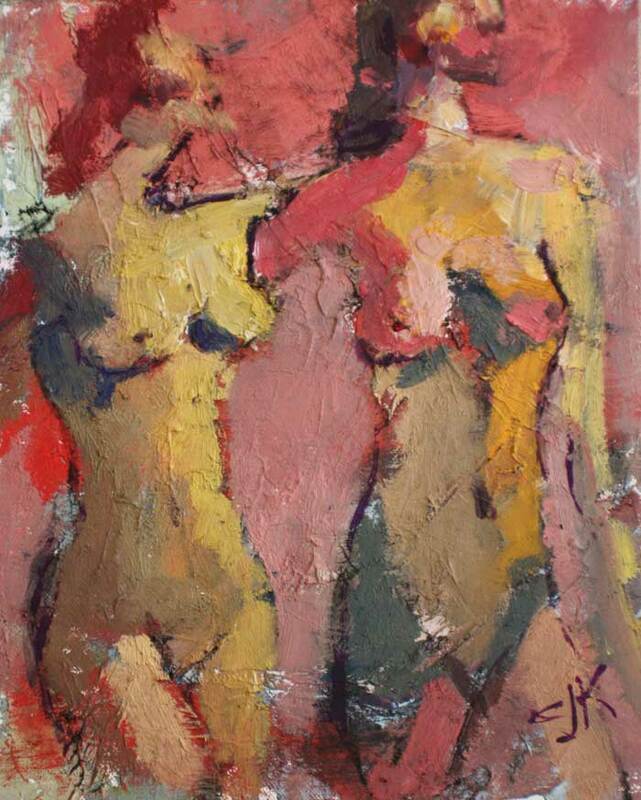 Collectors respond to the unique contemporary style and the expressive way in which she paints. 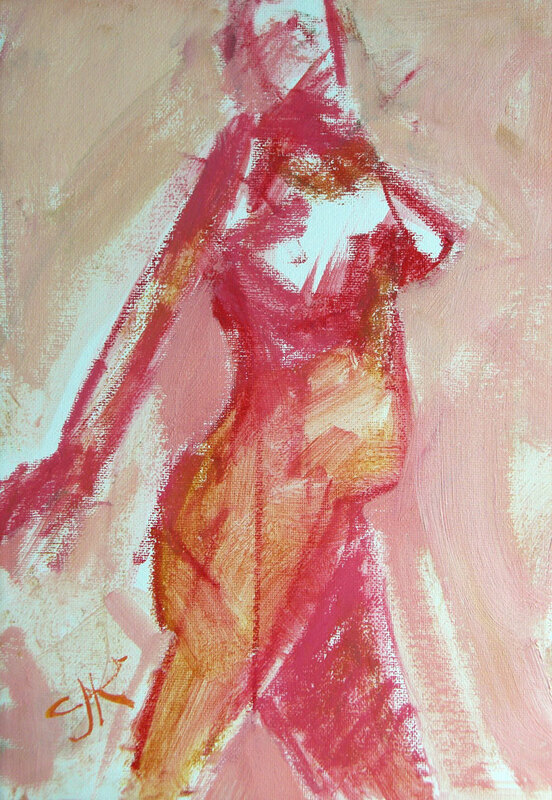 Gestural Drawing brings a freedom a spontaneity to a painting. 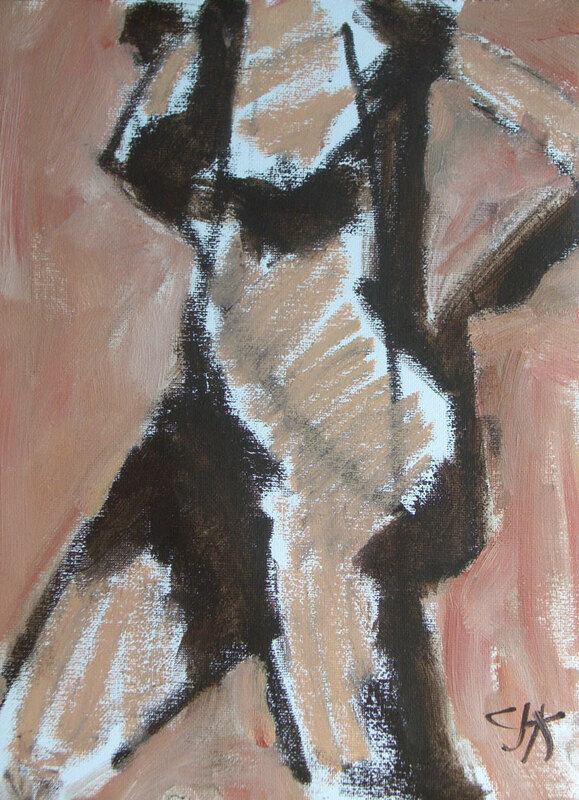 It is for the artist, a chance to respond to a pose with expression, it can be an emotional response. For some artists, there is a calisthenic logic: just as an athlete warms up before exercising or participating in sports, artists use gesture drawing to prepare themselves mentally and physically for a figure drawing session. The fast pace of gesture poses help an artist “loosen up” to avoid a stiff drawing style. 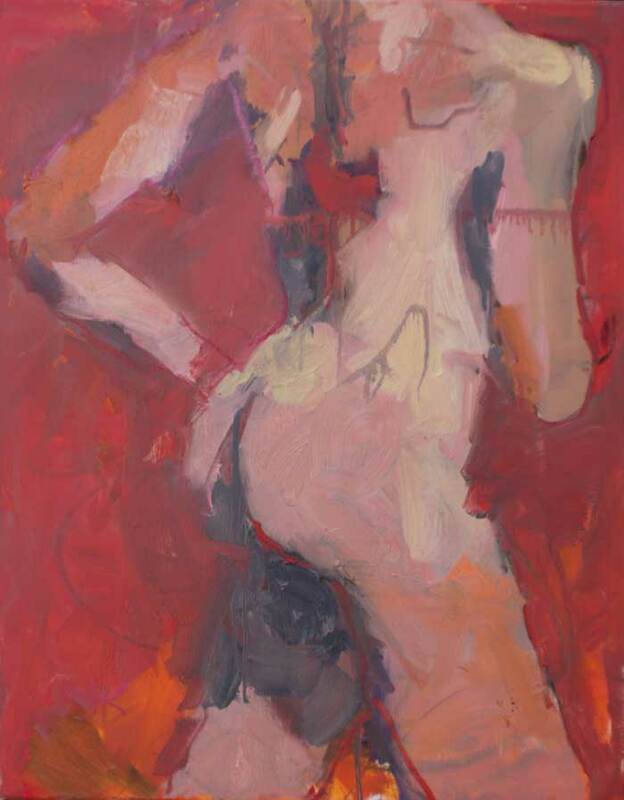 These are lively, paintings with spontaneity and an aliveness that is often a challenge and more physically demanding to the artist in a larger format. 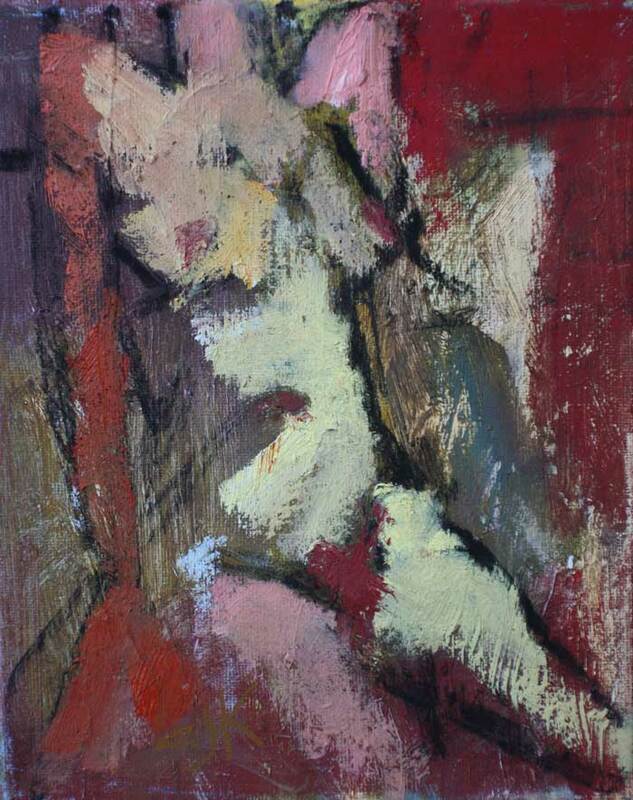 These oil sketches were quick fire sketches – done with the kind of abandon one should shoot for especially when working with a model and under a time pressure. Don’t think too hard, just paint, and respond with intent, be alert. 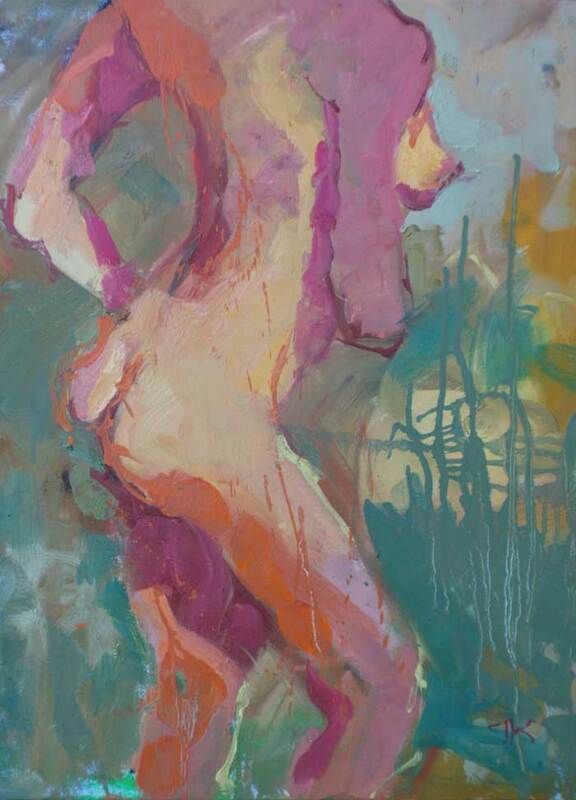 Unfortunately I got wrapped up in a larger canvas and longer pose, it lost the energy the spontaneity it became overworked, it’s a wiper now painted over…. no longer available! It will be a marvelous under painting for the next session and when someone asks me how long it takes to do a painting, I must remember to add the hours, of efforts lost and lessons and learnt. 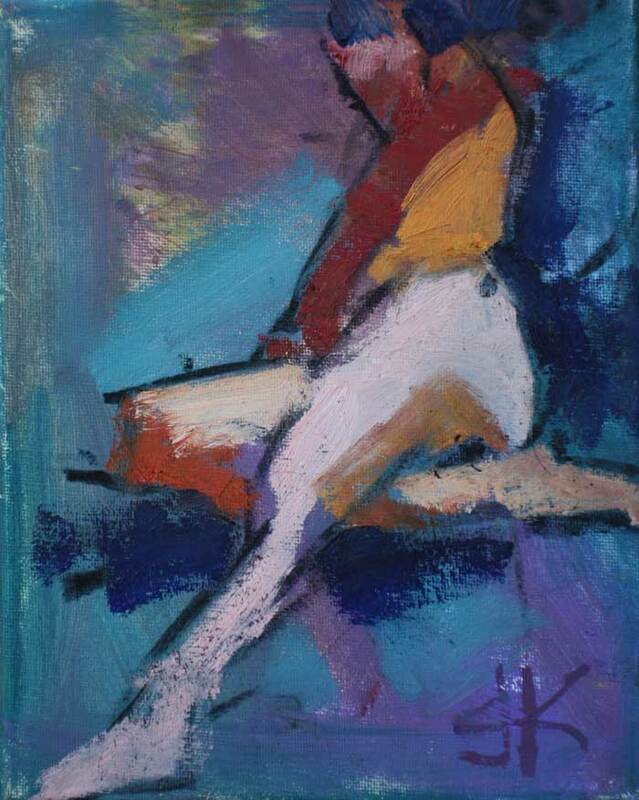 Painting by CJK using one model, in series of poses for a dynamic composition. 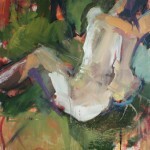 I will often explore a pose over and over, finding something different each time. When painting the same subject several times; often I change the scale of canvas, lighting or proportion. 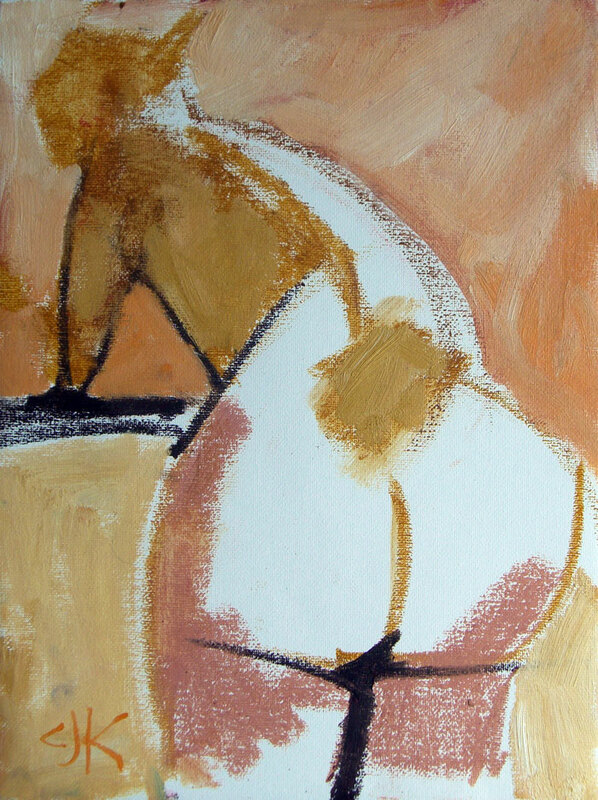 Painting in themes allows me to explore a subject deeply. If you would like to follow the studio sessions, consider signing up for my newsletter.